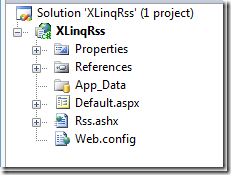 It´s very easy to create an RSS using Linq to XML. In my sample I create a ASP.NET page, which offers a RSS Feed. We add also a meta tag so that users can find our RSS Feed. 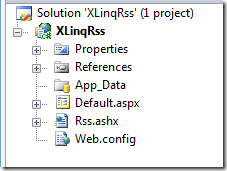 In this method we create the RSS Items and return this XElement list to the ASHX handler.